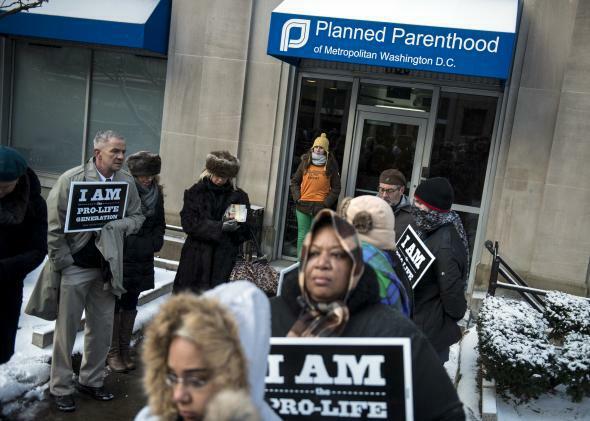 Supreme Court will reconsider abortion clinic buffer laws. Both pro-choice and anti-choice sides benefit if protesters have to keep their distance. One of them, McCullen v. Coakley, No. 12-1168, is a challenge to a Massachusetts law that restricted protests near reproductive health care facilities. The court upheld a similar Colorado law in 2000 in Hill v. Colorado. Here are the facts: Anti-choicers are allowed to “protest,” i.e., single out providers and patients for harassment, but in many states like Massachusetts, they have to keep their distance from the clinic. The court upheld such laws in 2000, arguing that while one has a First Amendment right to free speech, that right does not compel anyone else to give you an audience, meaning laws giving people safe spaces to avoid being harassed are constitutional. If the Supreme Court overturns that precedent, it could mean a return to a situation like the 1990s, with anti-abortion militants blocking doors and getting up in people’s faces as they try to enter clinics. This is incredibly concerning for doctors and patients, and not just because being subject to in-your-face harassment is unpleasant. It’s not a coincidence that once legislators—including Congress—started passing laws restricting protester access to abortion clinics, violence dwindled. The ’90s saw a string of murders of abortion clinic workers, but since then only Dr. George Tiller of Kansas has been killed. In 1991, Tiller’s clinic was subject to some of the ugliest, most mean-spirited attempts by anti-choicers to physically prevent women from accessing abortion, and in 1993, Tiller was shot by an anti-choice “protester.” There’s every reason to fear that if anti-choicers can start getting closer to the doctors and patients they hate so passionately, violence could return. All of which is why the anti-choice movement should not want the Supreme Court to overturn laws creating a buffer zone around clinics. It only takes one loon to hurt a cause. So for everyone’s sake, let’s hope the Supreme Court sticks to the precedent that holds that while you have a right to express your opinion, you don’t have a right to chase after anyone you want wherever you want to force her to listen to it.